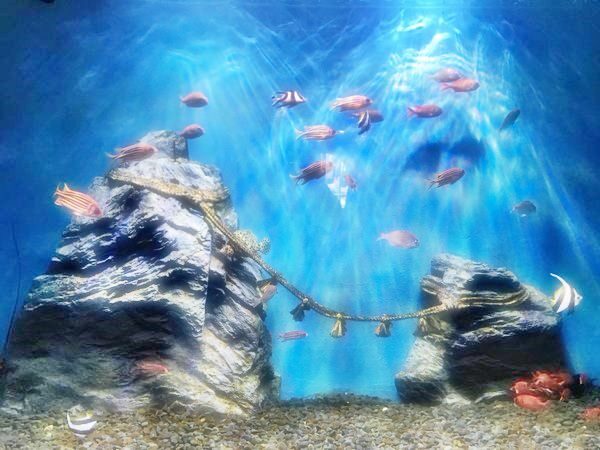 Ise Meotoiwa Interactive Aquarium Sea Paradise is an aquarium in Ise City, Mie Prefecture. 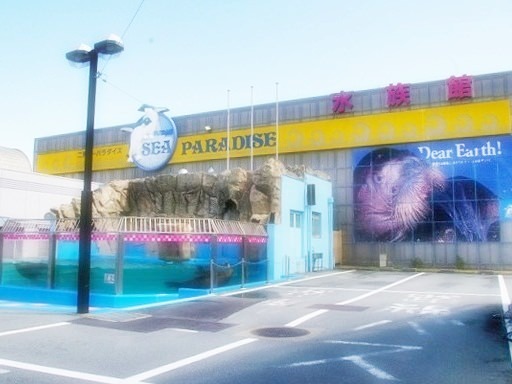 It is located next to Futamigaura, belonging to Ise-Shima National Park (refer to #296). The word "meoto" in "meotoiwa" is "husband and wife" in English and "iwa" is rock, respectively. As the name indicates, "meotoiwa" is a couple of rocks, which looks like a meoto, in the sea of Futamigaura.